Antonella Ambrosio and Maria Rosaria Falcone (Università degli Studi di Napoli Federico II) attended the 14th ICARUS Meeting in Colmar. Have a look at the new Activities Report here. Giovanni Vitolo and Antonella Ambrosio (University of Naples Federico II) will held a seminar titled “Le risorse in rete: materiale documentario dal IX al XIX secolo e inventari di archivi dei paesi europei” for the PhD candidates in History of the University of Naples Federico II. 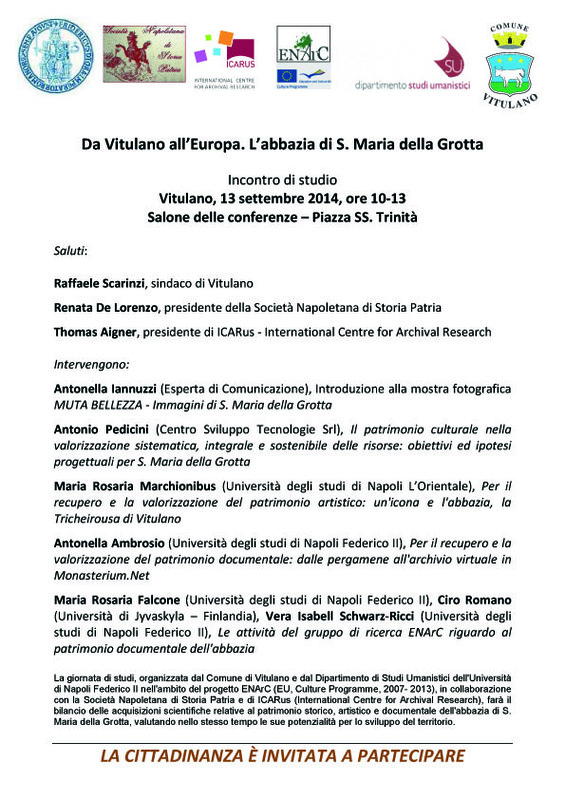 The lecture is part of the didactic activities within the ENArC project and will focus on Monasterium.net. Have a look at the annotated bibliography! Our student Francesco Lerra (Università degli studi di Napoli Federico II, Dipartimento di Studi Umanistici, Master Degree in History) started an internship within the ENArC-project. 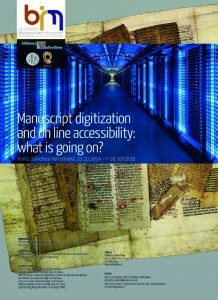 He is going to work on the data elaboration for digital archives to be published on Monasterium.net. Maria Rosaria Falcone (Università degli studi di Napoli Federico II) published a paper on Il progetto ENArC. 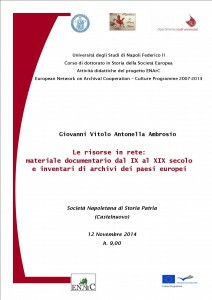 Attività didattiche innovative e creazione di archivi digitali in the volume Digital Humanities: progetti italiani ed esperienze di convergenza multidisciplinare. Atti del convegno annuale dell’Associazione per l’Informatica Umanistica e la Cultura Digitale (AIUCD) Firenze, 13-14 dicembre 2012, edited by Fabio Ciotti, Roma, Sapienza Università Editrice, 2014 (Studi Umanistici. Serie Quaderni DigiLab). Have a look at the article here. The whole volume here. By January 2014 an international agreement between ICARUS (International Centre for Archival Research, Vienna) and the Università degli studi di Napoli Federico II became operative. Among its objectives figures the preparation of a digital edition of the charters of South Italy in Monasterium.net as well as a paper edition. Within this agreement UNINA received a financial contribution by the University of Naples Federico II to support the associated activities. 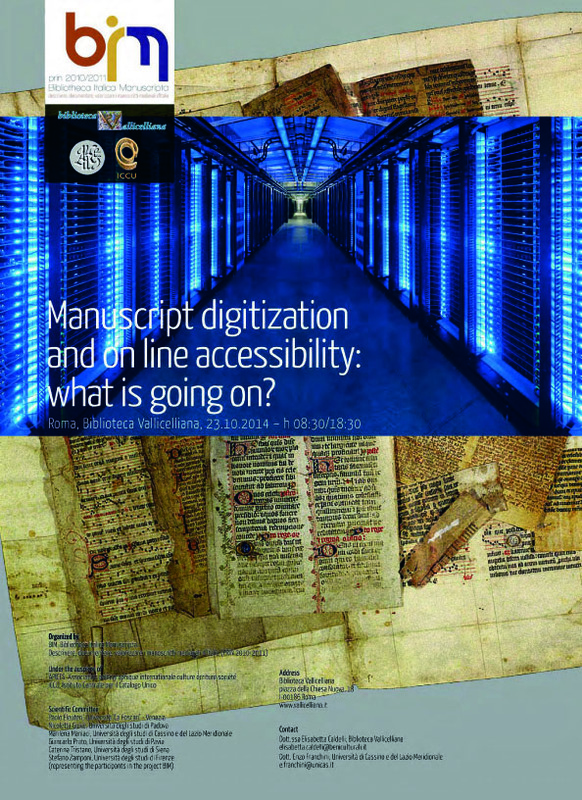 Manuscript digitization and on line accessibility: what is going on? 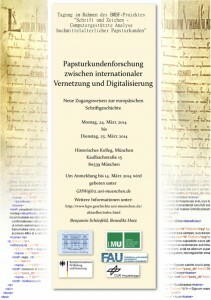 An international conference to discuss about the manuscript in the digital age and on ways to access to these resources. The conference is organized by Bibliotheca Italica Mansucripta (Bim) and by Vallicelliana Library, in collaboration with the Association paléographique internationale culture écriture société (Apices) and the Istituto centrale per il catalogo unico delle biblioteche italiane e delle informazioni bibliografiche (ICCU). Check out the Programme! Our fotos here. Antonella Ambrosio and Maria Rosaria Falcone (Università degli Studi di Napoli Federico II) attended the seminar on radiocarbon dating with the title 14Cose da sapere … per sapere tutto dal 14C (o quasi) organized by Centro per lo Sviluppo ed il trasferimento dell’innovazione nel settore dei beni culturali e ambientali – INNOVA SCaRL, in collaboration with the Dipartimento di Matematica e Fisica della Seconda Università di Napoli. Digital diplomatics. The computer as a tool for the diplomatist? 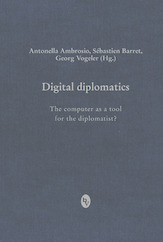 No technology since the introduction of photography had such an impact on questions and methods of diplomatics as the computer had. This book discusses the methodological consequences of doing diplomatic research on huge corpora and fast text mining technologies. It gives examples of how to enlarge the digitised charter corpus and demonstrates research applying information technology on medieval and early modern charters asking pure diplomatic questions as well as doing historical or philological research. Further info on the editor’s site and summary of the contents here. ICARUS has migrated the website and database to a new server directly under the Monasterium.net-Domain and has fused the former homepage of Monasterium.net with the ICARUS homepage: Now you can enter Monasterium.net via the starting page of ICARUS here. Here are the links to the portal and to the database. Antonella Ambrosio was awarded the honorary citizenship of the city of Vitulano (near Benevento, in South Italy) for her past and on-going research activities on the charters of the abbey S. Maria della Grotta of Vitulano. In effect, the abbey’s charters are integrated in our joint project Monasterium.Net and also in a specific sub-project within the ENArC-project activities! We are very pleased to share this success with you because we think that this is a special recognition by a local citizen community not only for our working group but also for you, our colleagues in Icarus and the Monasterium project. 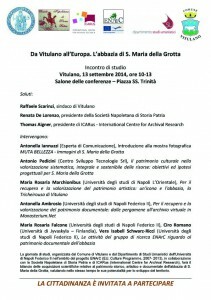 The conference is organized by the municipality of Vitulano, the Dipartimento di Studi Umanistici of the University of Naples Federico II within the project ENArC (EU Culture Programme 2007-2013), in collaboration with the Società Napoletana di Storia Patria and ICARus, with the aim to evaluate the scientific acquisitions on the historical, artistic and documental patrimony of the abbey S. Maria della Grotta and its potentialities for the regional development. Check out the programme here! Event on Facebook. The group ENArC UNINA (Antonella Ambrosio, Maria Rosaria Falcone, Ciro Romano, Vera Schwarz-Ricci – Università degli studi di Napoli Federico II) presented the software MomCa to the members of the Laboratorio di Archeologia Tardoantica e Medievale, Federico Marazzi, Daniele Ferraiuolo and Alessia Frisetti, of the Università degli studi Suor Orsola Benincasa. During the Plenum II of the Icarus-Meeting in Copenhagen Dr. Francesco Roberg (Hessisches Staatsarchiv Marburg) interviewed Antonella Ambrosio and Vera Schwarz-Ricci (Università degli studi di Napoli Federico II) about the origins, the goals, the achievements and the future plans of the ICARUS Didactics Workgroup. Check out the interview! In occasion of the 13th ICARUS Meeting in Copenhagen UNINA organized a workshop on “Digital Edition for Diplomatists” with the participants: Georg Vogeler (Universität Graz), Manuel Salamanca (Universidad Autónoma de Madrid), Antonella Ambrosio, Maria Rosaria Falcone and Vera Schwarz-Ricci (Università degli Studi di Napoli Federico II). Antonella Ambrosio, Maria Rosaria Falcone and Vera Schwarz-Ricci (Università degli Studi di Napoli Federico II) attended the 13th ICARUS Meeting in Copenhagen and presented the activities of UNINA and of the ICARUS Didactics Group in the last 6 months. Have a look at the Meeting’s fotos here and the new Activities Report here. Antonella Ambrosio, Maria Rosaria Falcone and Vera Schwarz-Ricci (Università degli Studi di Napoli Federico II) will represent UNINA at the 13th ICARUS Meeting in Copenhagen this month. 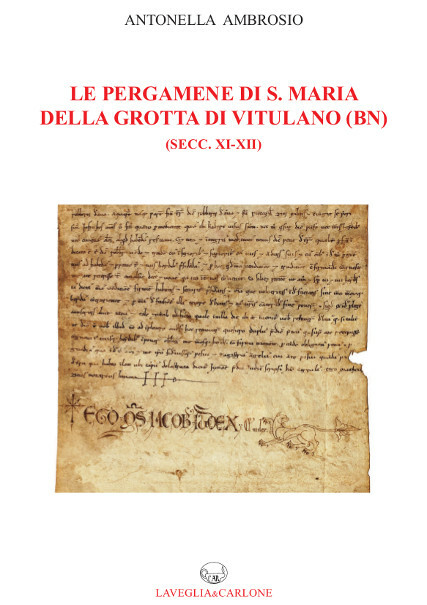 This year’s Palaeography and Diplomatics course (academic course for Master Degree students in History), organized in context of the activities of the ENARC project, focused on the Diplomatics of the charters of the abbey of Santa Maria della Grotta (Vitulano, BV) and traced a path from traditional to new digital methodologies. To foster consciousness of the changes induced by the new technologies and at the same time a sensibility for the original documents, the course started with the teaching of the traditional methodologies and the analysis of the abbey’s charters with the help of reproductions. It proceeded with a contextualising visit to the original setting of the abbey as a place of medieval charter production in South Italy and another visit to the conservation site of the charters, the Library of the Società Napoletana di Storia Patria, where the students analyzed the originals. Thus attained an idea of the historical and archival context of the documentation, the students approached in a computer lab the same charters and private deeds as part of a digital archive, in this case a virtual reconstruction of the convents’ archive on Monasterium.net. They applied the methods of traditional diplomatic analysis using the digital editor of Monasterium.net, MOMCa, and investigated the parameters necessary for historical research on charters with the aim to enrich the digital archive. For example, among these criteria there will be the original expression of the date in the charter and the name of the notary. This new data will be inserted in the digital archive within summer 2014. This course also experimented the social network Facebook as a new didactic tool. Thanks to our trainees in scholarly editions! 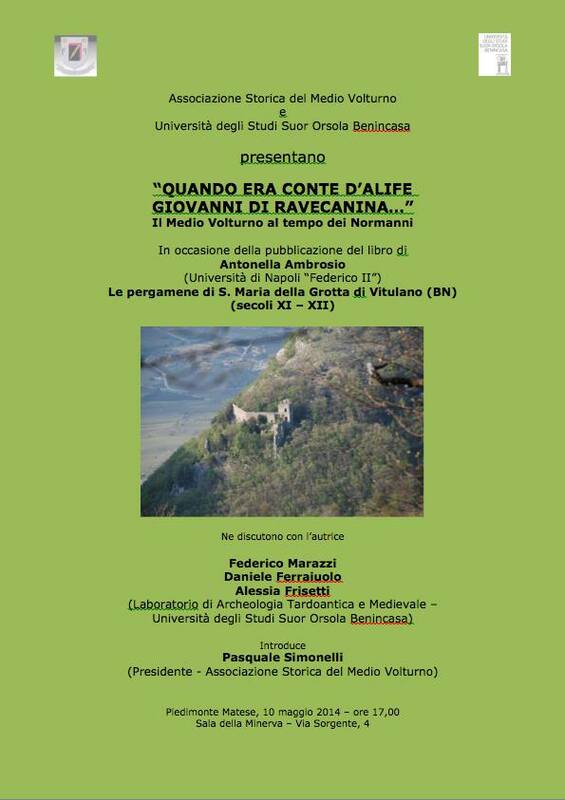 Our students Martina Magliacano and Luca Marino (Università degli studi di Napoli Federico II, Dipartimento di Studi Umanistici, Master Degree in History) finished with success the internship in scholarly editions as a base for a digital scholarly edition. Thank you very much for your interest and commitment! ENArC UNINA participates in the activities of the initiative “Uni per tutti – tutti per l’Uni” with a visit to the ENArC UNINA Lab, organized by Antonella Ambrosio, Maria Rosaria Falcone, Vera Schwarz-Ricci. Have a look at the aims of the initiative. Charters should not remain locked in archives but should travel in rhythm with our times. Nowadays this is possible thanks to digital technologies: Have a look at our project, the virtual archive of the abbey S. Maria della Grotta, on Monasterium.Net and participate in the discussion of the charters, the territory, the virtual archive and the project of the digital edition. You are welcome! Have a look at our photographer’s presentation on the digitisation activities here! With the assistance of the proloco camposauro Vitulano the teachers and the students of the 2014’s paleography course went looking for an original setting of the medieval charter production in South Italy: the abbey of S. Maria della Grotta near Vitulano. After an one-hour-stroll to the site and the inspection of the abbey’s ruins they enjoyed the beautiful view of the territory of Vitulano and the delicious food provided by the proloco members. 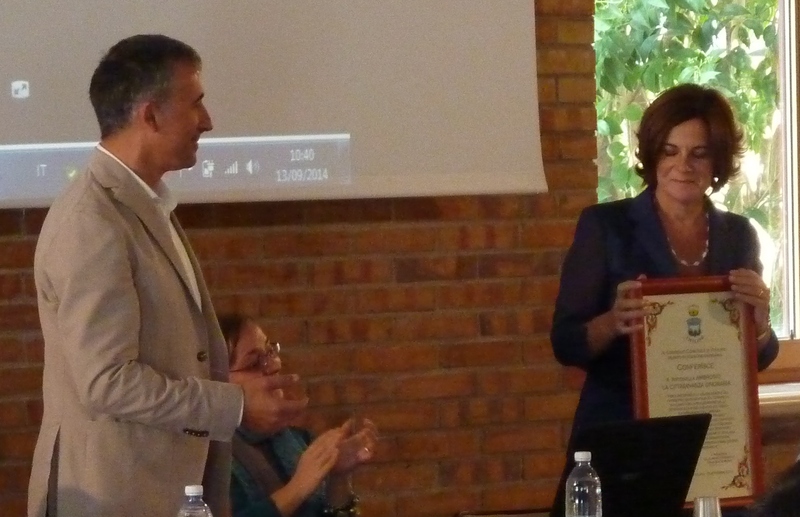 Many thanks to the local organization in Vitulano (proloco camposauro di Vitulano), to the citizens and the mayor of Vitulano, Raffaele Scarinzi! Have a look at the photos on Facebook. Presentation of volume titled Le pergamene di S. Maria della Grotta di Vitulano (secc. XI-XII), edited by Antonella Ambrosio. On this occasion the ‘Virtual Archive of Abbazia of S. Maria della Grotta’ will be presented which is now online among the Collections of Monasterium.net. 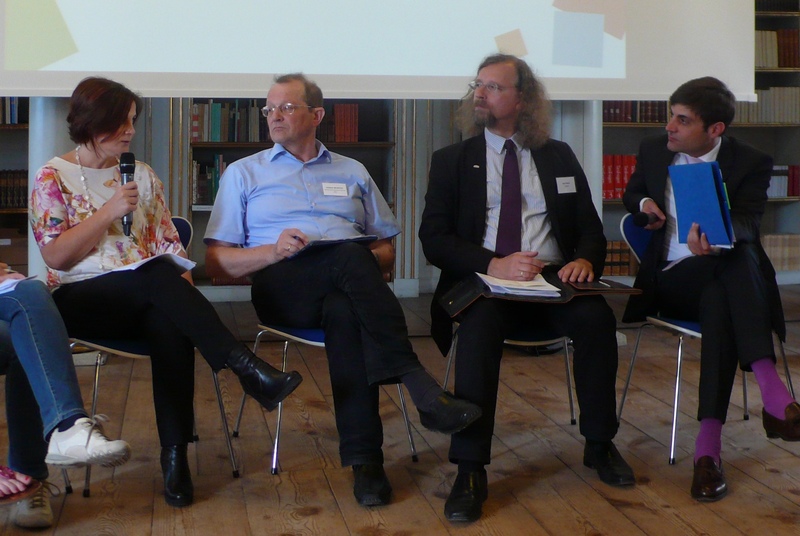 The virtual archive is part of the activities of the ENArC project (EU, Culture Programme 2007-2013). 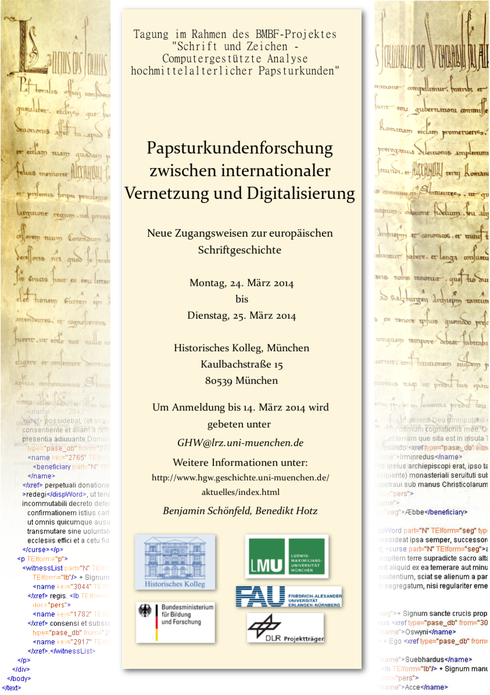 In occasion of the international conference “Papsturkundenforschung zwischen internationaler Vernetzung und Digitalisierung. Neue Zugangsweisen zur europäischen Schriftgeschichte” Antonella Ambrosio (Università degli studi di Napoli Federico II) will hold a paper on Palaeographic research on digitized charters in Southern Italy: experiences and desiderata. ENArC UNINa formed a partnership with Archeojobs, the Italian platform for work and education in the cultural heritage sector. Welcome to our new trainees in scholarly editions! Our students Martina Magliacano and Luca Marino (Università degli studi di Napoli Federico II, Dipartimento di Studi Umanistici, Master Degree in History) started an internship in scholarly editions within the activities of the ENArC project. They are going to edit the charters of the convent SS. Pietro e Sebastiano for the period 1400-1450, already available as digital reproductions on Monasterium.Net (Virtual reconstruction of the convent’s archive). The result will be a scholarly edition as a basis for a digital one with MOM-CA. 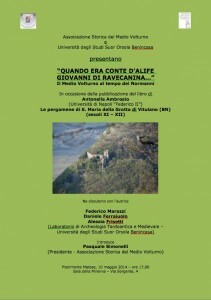 Check out this presentation and this recension of Monasterium.Net, the European Archive in Italy!